UGA heads to Rocky Top this weekend to face Tennessee. What sort of recruiting impact will that game have? UGA must validate that the promise of this year’s season was not washed away by that 38-10 loss to Alabama. A convincing victory would cure those ills. That said, another effort like last week in an SEC East game would mean the 2015 season is off the rails. All those good things that UGA’s high-level recruits said last week about “bad games happen” becomes more than that. Prospects will start wondering: Is there a comparable offer from a team that wins? No recruiter wants their targets to consider that, but they will be if UGA plays poorly in Knoxville. That downward spiral term is a perfect segue to Tennessee’s position entering this game. The snake-bit Volunteers lost by a combined 11 points to their three legit opponents. Another loss this week drops the Vols to more than just 0-3 in conference play. That result would extend UGA’s win streak in the series to six games and also earns a 22-21-2 edge in the all-time rivalry. Tennessee also plays at Alabama after hosting UGA. Ouch. Four conference losses in a row? Recruits will do one of two things: 1) They’ll wonder if they really look good in orange or that smoky gray. 2) They will realize UT’s coaches were right when they said they could come in and play right away as a freshman. Derrick Brown, the state of Georgia’s No. 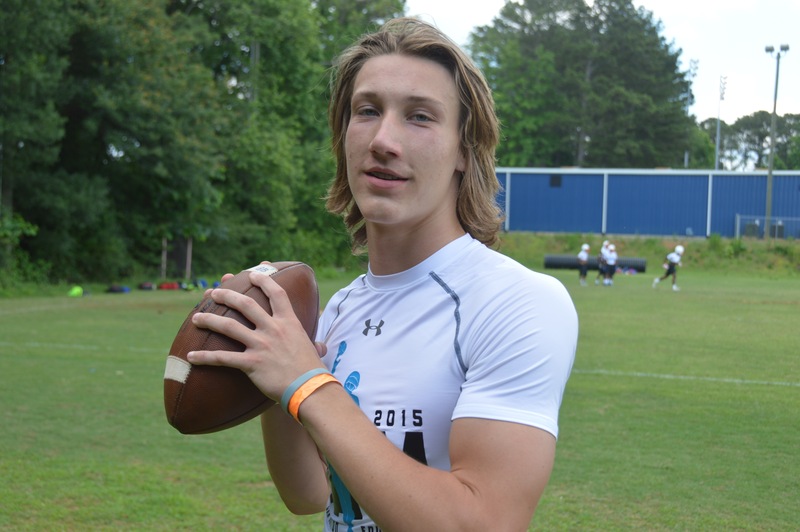 1 prospect for 2016, is taking a trip to Knoxville this week to see the Volunteers. UGA, Auburn, Alabama, Tennessee are Mississippi State are currently seen as the major players in his decision. He’s not publicly slotting those schools, but I’d peg his Top 3 as UGA, Auburn and UT in that order. Who else is up for grabs that both programs have already invested a lot of time in? It is a star-studded group. That’s 24 stars if anyone’s counting. Considering both UGA and UT: Yes. His decision: Hardman has likely visited UGA and Tennessee more than all the other schools he’s seen combined. He’ll make a silent commitment in the next six weeks and share his choice on National Signing Day. Value: There might not be a player in the SEC right now that’s any faster or more explosive in space than this guy. Hardman, Jr. could be an instant impact player at receiver or cornerback, but his long-term ceiling is on defense. He’s not quite six feet tall, and the big NFL paydays won’t come as easy at receiver. Brandon Boykin is a good former UGA player comparison. His decision: Gibbs really likes both schools a lot. He told The AJC’s DawgNation.com this summer that his best college visit had been to Knoxville. He’s already made one trip up to Neyland Stadium this year for the Oklahoma game. He’s one of the nation’s top five recruits for the Class of 2017 and is still collecting offers. It sounds like he’s not even close to narrowing things down, but he’ll be watching both programs closely this week. 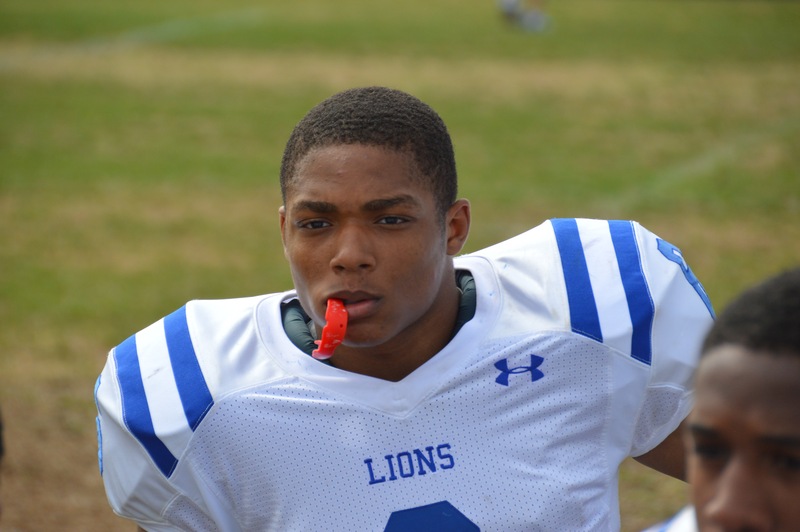 Alabama and Oregon should also be seen as major players for Gibbs. Value: If the statement was made that Gibbs was the best prospect in either state right now regardless of class standing, there might be only a handful of names in that debate. Most of them are on this list. Gibbs plays for a team that has so many SEC-worthy defensive backs in the secondary that his primary high school position is at receiver. He will be an instant SEC impact player at either spot. His decision: Davis told DawgNation.com back in August that wins and losses do not affect his view of either team. He said he wouldn’t pay much attention to a won-loss record. What he will pay attention to is the chance to play right away. Both UGA and UT offer that. He does not share much when it comes to his recruiting, but UGA or UT seem like the best bets. Auburn is also in the mix. He’ll announce his decision after Archer’s Homecoming game on Oct. 23. My personal opinion is it could go either way between UGA and UT. Value: Davis was the MVP at Nike’s all-star 7-on-7 tournament in Oregon this summer. The talent is clearly there, but he has just one touchdown catch this season. That stat must be balanced out with the fact Archer runs the ball on about 75 percent of its snaps. Would it be a catastrophe if UGA doesn’t land Davis? Not necessarily. His decision: Family ties will be heavily involved in his decision. Warrior is the son of Tennessee all-time great Dale Carter. He also told DawgNation.com that the Volunteers were starting to reel him in after he went up for the Oklahoma game. The aforementioned Gibbs is his cousin and the two are basically inseparable. They have hinted in interviews that they would like to play together in college. The school that lands Warrior becomes the instant favorite to sign Gibbs in 2017. Value: Warrior has natural instincts that just cannot be coached up. He was one of the top ball hawks at Nike’s all-star event this summer, too. Gibbs and Warrior actually have two members of the family who played 12-plus years in the NFL. Jake Reed, another uncle, had a fine career at receiver primarily with the Minnesota Vikings. His decision: If this seems like an odd place for a sophomore, it should. Yet Lawrence is that rare of a talent. He’d be one of the top five QB prospects in the junior class, too. 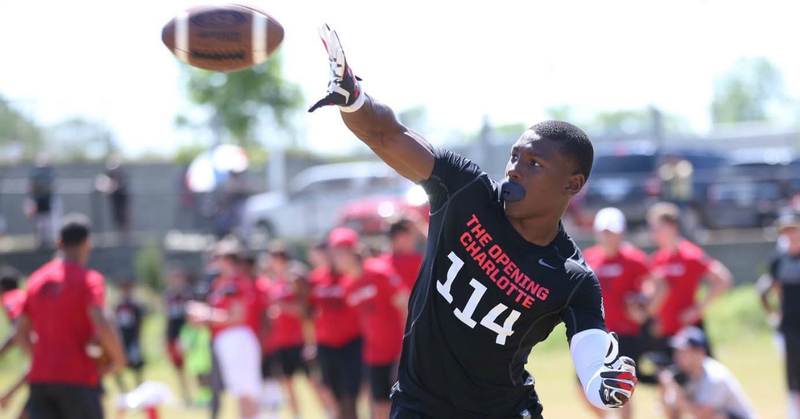 Lawrence grew up a Tennessee fan, but UGA has caught his eye. He got an offer from UGA less than a week after Dawg Night and he clearly deserved it. He took reps right behind UGA commits Jacob Eason (5-star senior) and Bailey Hockman (4-star junior) and there was little to no drop-off among those players. He showed he belonged regardless of his age. He has politely declined most interview requests until after his season, but back in the summer he had Tennessee at No. 1 and UGA after that. Both schools already have commitments from highly-rated upperclassmen at his position, so he’ll have to compete for playing time at either program. Value: Lawrence was named the MaxPreps.com Freshman All-American Player of the Year. The 6-foot-5, 190-pounder threw for 3.042 yards and 26 scores in 2014. His 2015 numbers are even better. He completed 70 percent of his throws for 990 yards and 12 touchdowns through his first four games. According to those stats, he’s only thrown eight interceptions in his prep career.